The Rt Hon. Helen Clark, former Administrator of the UN Development Programme and 37th Prime Minister of New Zealand today became Patron of the International Working Group (IWG) on Women and Sport Secretariat & Conference 2018 - 2022, and its delivery agent, Women in Sport Aotearoa. It was also announced that the 8th IWG World Conference will take place between 5-8 May 2022 at the New Zealand International Convention Centre (NZICC) in Auckland, New Zealand. The joint news was released just as the sun rose in New Zealand on UN International Women’s Day, 8 March 2019. 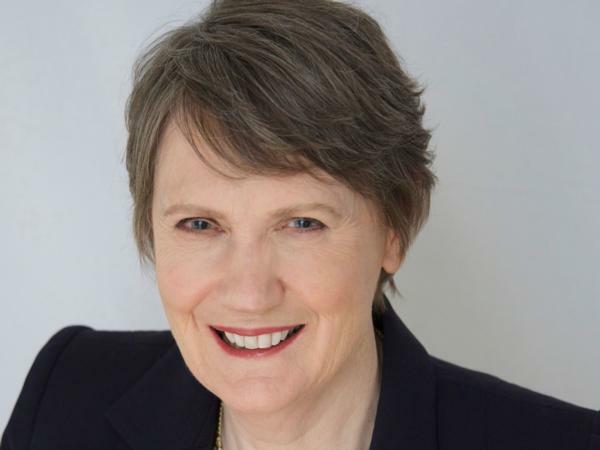 Helen Clark said: "I am very pleased to accept the invitation to become Patron of the International Working Group on Women and Sport globally and in New Zealand, of Women in Sport Aotearoa. I strongly believe that women and girls deserve equity of opportunity to participate, compete and build careers in sport and recreation - and in all other parts of life. I plan to help increase awareness and engagement across sport, government, business and media, both in New Zealand and abroad." Raewyn Lovett, New Zealand Co-Chair of the IWG, said: "It’s an enormous honour to have Helen Clark become our global Patron, as we work toward achieving gender equity in sport. Helen is a well-known gender rights advocate and her national and international networks are simply unparalleled. Today marks a little over ‘3 years to go’ until the 8th IWG World Conference, with over 1,500 global experts in gender equity in sport and physical activity expected to make the trip. We are proud to announce the dates and venue and look forward to welcoming everyone to Aotearoa New Zealand." The announcement kicks-off a wave of activity for IWG and Women in Sport Aotearoa on the global stage. Tomorrow, Saturday 9 March 2019, Professor Sarah Leberman (Co-Chair, Women in Sport Aotearoa) and Rachel Froggatt (IWG Secretary General and CEO, Women in Sport Aotearoa) will leave for the United Nations Commission on the Status of Women (CSW63) session in New York. Sarah Leberman will present in a parallel event alongside world leading experts, including Nancy Lee, head of the International Olympic Committee (IOC) Gender Equality Review Project. The event, entitled "Sustainable infrastructure creation for gender equality in sport and physical activity for girls and women", will take place on Wednesday 13 March 2019. 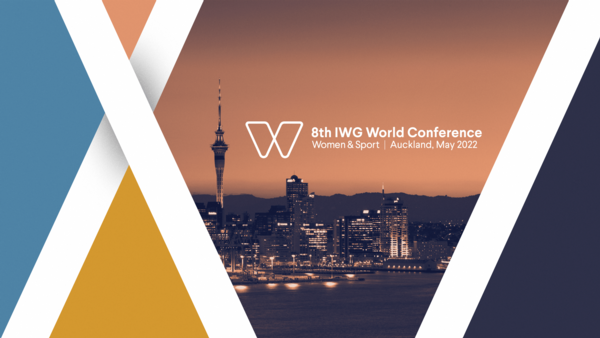 Alongside Sarah, Rachel Froggatt will also represent New Zealand as a delegate, with a focus on building international networks for IWG and Women in Sport Aotearoa and raising interest in the 8th IWG World Conference, Auckland 2022. The IWG is the world’s largest network dedicated empowering women and girls and advancing sport. Established in May 1994, the network developed and is guardian of the Brighton Declaration on Women and Sport. Updated in 2014, the Brighton plus Helsinki Declaration now has over 550+ signatories - global organisations demonstrating their commitment to ensuring that women and girls can freely and safely participate, compete and build careers in sport. Amongst them stand the International Olympic Committee (IOC), the International Paralympic Committee (IPC) and FIFA. The IWG works year-round to bring attention to the important issues facing women and girls in sport and physical activity by supporting development and sharing research, plus global advocacy. It partners with world agencies, including UN Women, UNESCO and WHO, to drive awareness and support positive change. Every four years it stages the world’s largest conference dedicated to gender equity in sport and physical activity, attracting 1,500+ global experts to discuss strategy. The global IWG Secretariat - the administrative function - shifts every four years. The 1st IWG World Conference, Brighton 1994, took place in the UK. Since then, IWG host nations have included Windhoek, Namibia (1994-1998); Montreal, Canada (1998-2002); Kumamoto, Japan (2002-2006); Sydney, Australia (2006-2010); Helsinki, Finland (2010-2014); and Gabarone, Botswana (2014-2018). Following a competitive bid in 2018, New Zealand won the right to become international host nation for the 2018-2022 quadrennial. The bid was led by New Zealand’s leading research and advocacy agency for gender equity in sport and recreation, Women in Sport Aotearoa, in partnership with Sport New Zealand; the Ministry of Business, Innovation and Employment (MBIE); Auckland Tourism, Events and Economic Development (ATEED); the Ministry for Women; Tourism New Zealand; and the New Zealand Olympic Committee. In September 2018, a delegation from IWG Botswana visited Auckland to hand over the reins to Women in Sport Aotearoa, now global delivery agent for the international Secretariat programme and host of the 8th IWG World Conference, Auckland 2022.